RANKL. Room for the beautiful. "Crickets. Perfectly cooled glasses. Liliane's loud laugh." RANKL has been synonymous with outdoor living worlds for many decades. 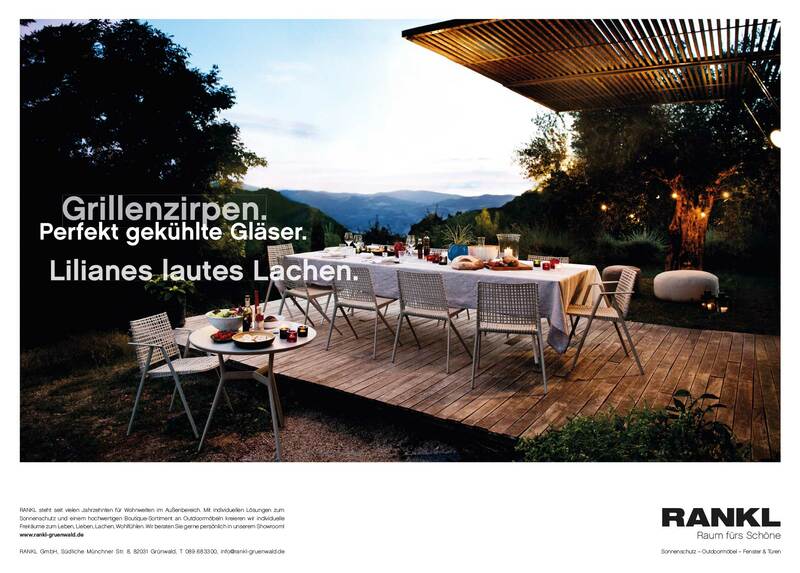 With individual solutions for sun protection and a high-quality boutique range of outdoor furniture. We decided to position the brand as an outdoor lifestyle brand offering room for the perfect summer dream: room to live, love, laugh and create beautiful moments and souvenirs. “Room for the Beautiful”. With the campaign we aimed to produce a pure and universal experience evoking nostalgic souvenirs and a longing for never ending summer nights.